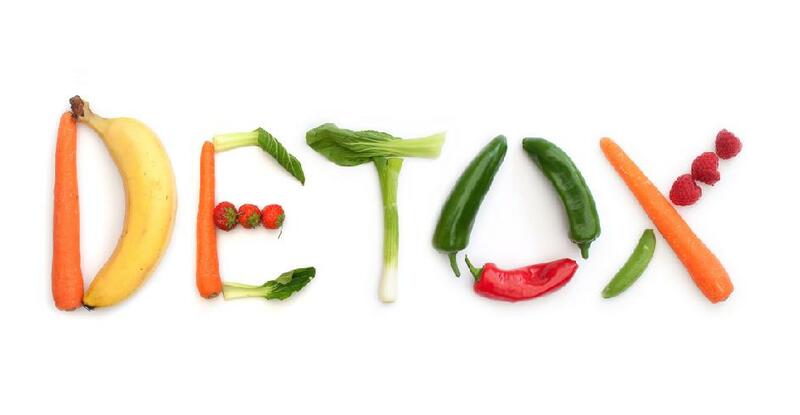 “A detox programme is aimed at purging your body of harmful toxins or addictive substances, some of which come from the food we eat. “Food and herbs are milder forms of drugs and the body can get addicted to it,” says Anjali Mukerjee, nutritionist and founder of Health Total. Hence, detox diets—and even weight loss diets—require us to forgo some food groups. While some diets restrict carbohydrates, others say no to sugar or salt, still others forbid caffeine intake. But evidence suggests that whenever our body observes the lack of supply of a particular ingredient, it reacts in a certain way, sometimes even violently. Let us have a look at the withdrawal symptoms of various food categories. This is the most targeted food group in a diet. A lot of people are addicted to tea and coffee and sometimes have several cups a day. On completely discontinuing tea or coffee, some changes take place in the nervous and vascular system, as the body tries to get rid of the poisons and realign its systems according to the new regime. “Caffeine in coffee, tea, cola and energy drinks is habit-forming. It therefore creates dependability and withdrawal signs show up when it is stopped,” says Sheela Krishnaswamy, an independent diet, nutrition and wellness consultant. Withdrawal symptoms: The first symptom to manifest is a headache that stays for 2 – 3 days. You may also experience pain in the stomach and joints, which subsides after 3 – 4 days [the time taken by the receptors in the brain to be free of caffeine consumption]. Clogged sinuses and a running nose are other symptoms. For many people, tea and coffee work as a laxative, so constipation too is a common occurrence. Besides that, you may feel irritable and drowsy. Cure: Take a couple of analgesics and ample rest. Having a very small amount of tea or coffee may also alleviate the symptoms. Switch to herbal teas or decaffeinated brews. Soft drinks can be the primary source of calories and sugar for you. According to dietician Joanne Larsen of dietitian.com, there are nine teaspoons of sugar in each 12 ounce [355 ml] can of soda. Caffeinated soda and energy drinks may contain other stimulants too, which may make you feel nervous. Reducing or eliminating caffeinated soda and energy drinks with stimulants should reduce feelings of nervousness. Withdrawal symptoms: Strong cravings and headaches are common symptoms. Dehydration may occur if soda is your main source of water for the body. Cure: Switch to natural juices and decaffeinated drinks. Drink a lot of water to avoid dehydration. Food items made of refined flour such as bread, cake, candy, pasta, noodles, and white rice are associated with a higher incidence of diabetes, cardiovascular disease, and even breast cancer. And eating refined carbs can, over time, result in almost certain weight gain. Withdrawal symptoms: The first week is miserable, with a feeling of fatigue and acute craving for carbohydrate-rich food. You may feel constantly hungry and irritable or even experience nausea. S K Thakur, a senior gastroenterologist, explains, “When your source of income dries up, you utilise assets like gold and silver. Similarly, when the intake of carbohydrates gets restricted, the body starts using the stored fats.” This process is called ketosis. As a result, the insulin levels in the blood drops, stabilising the blood sugar and the body loses weight. After the first week, the person starts to feel better and the craving pangs reduce. Cure: Drink plenty of water to enable fat metabolism. Eat protein-rich foods like eggs and dal. If you are feeling nauseous, take adequate rest. “Substitute refined flour with complex carbs such as jowar, bajra or nachni to help you feel fuller without the negative effects,” suggests Mukerjee. Salt is a chemical compound consisting of sodium, which is detrimental to health. While reducing salt intake is good, when a person drastically restricts his intake of salt for an extended period of time, the old accumulations in the body are excreted through the skin and kidneys. Withdrawal symptoms: In the initial days, there may be a salty taste in the mouth. “Cramps are initially experienced as salt is removed from the diet or rapidly excreted from the body,” adds nutritionist Honey Khanna. Other withdrawal symptoms include high blood pressure, lethargy and drowsiness, and excessive urination [as salt is water retentive]. In extreme cases, you may experience hypernatremia [electrolyte disturbance in the body] and fits. Cure: Reduce salt intake slowly. Replace regular salt with rock salt or low-sodium salt. Meat eaters have a high acid content in their body. When they stop eating meat, the body attempts to revert to the healthier, alkaline condition. Withdrawal symptoms: As the acids leave the body through the pores, they leave behind a disagreeable smell, foul breath and a bitter taste in the mouth. You may also experience some hair loss and muscular weakness. Once all the acid has been neutralised, these symptoms disappear. Cure: Consume lots of fruits, vegetables and fluids. Milk is a complete meal in itself. However, some people become lactose-intolerant and have to cut down on milk. Milk contains tryptophan [essential amino acid], which is sleep-inducing. Withdrawal symptoms: Lack of sleep, lethargy, grogginess, mood swing, and headaches are common. You may also experience ailments like multiple bowel syndrome and chronic constipation. Cure: Replace regular milk [cow or buffalo milk] by soy milk. “By completely eliminating dairy products from our diet, we deprive ourselves of calcium, a mineral that’s imperative for strong bones and teeth. This is an open invitation for diseases like osteoporosis at a later stage in life,” explains Deepika Malik, executive director, LifeCentury, and a qualified Ayurveda practitioner. You can also meet your calcium requirements with the help of supplements. Many dieticians treat sugar as slow poison. Not only does it promote weight gain, but it is also deadly for a person with diabetic tendencies. In many ways, what seems harmless is actually a cause of diabetes, obesity, and a variety of other problems. “We take sugar withdrawal as seriously as addictions to substances like alcohol or drugs,” says Malik. Withdrawal symptoms: Due to low blood sugar levels, the first symptom is acute craving for sugar and sugar products. Next is fatigue, in the absence of the energy boost sugar gives. Depression, anxiety and mood swings may be experienced as sugar enhances these emotions too. It is also common to experience headaches, similar to the ones experienced in caffeine withdrawal. Other withdrawal symptoms include drowsiness, skin rashes and throat discomfort. In extreme cases, fever with tremors, unconsciousness and seizures are observed. Cure: Cut off sugar slowly instead on stopping all at once. Switch to fresh fruits, salads and nuts. A major chunk of our population suffers from obesity. The prime suspects are our fat-intensive diet and sedentary lifestyle. However, fats also provide many of the necessary vitamins. Embarking on a fat less or low-fat diet, reduces the level of vitamins like A, D, E and K in the body. Withdrawal symptoms: All problems related to the deficiencies of vitamins A, D, E and K manifest. You may also suffer from dryness of skin and hair, itching, weakness of bones, and night blindness. Cure: Eat good fats like almonds and fresh fruits. While going on any type of diet, reduce in stages instead of imposing a total stop on the consumption of any food item. “If you are cutting down on the consumption of above foods, you can avoid some of the symptoms by doing it slowly. If the craving persists, substitutes can be used,” suggests Khanna. Some withdrawal symptoms like that associated with wheat/caffeine withdrawal might require medical management. Sia Mitra is a New Delhi-based freelance science writer. Question? I have removed traditional salt and I am now using pink himayalan Salt, but using it very sparingly! I have high BP, specifically the lower number, ex: 140-95. Is it a significant health benefit sticking to this new way, or not enough to bother?? Great article. Explains a lot of what I have felt while cutting down on some foods and dieting. It can get pretty serious that I have experienced personally. Wheat / caffeine “may require medical management.” How interesting for wheat. Never knew. Great to have a guidance in healthy living. Great article! I have been experiencing higher than normal BP numbers especially Diastolic. Deceided to try cutting out sodium but was feeling terrible. Came across this article and found out the withdrawal symptoms mentioned were almost exactly as it says in this article. Increased my sodium level cuz I guess my reduction was too fast and drastic. Felt tons better in a matter of minutes. Good article, very helpful knowing withdrawal symptoms to watch for. However, be careful with soy. It is genetically modified (GMO) and can work against detox efforts. calcium in dairy robbs your bones of calcium and has been atributed to osteoporosis and osteoarthritis later in life. supplements can help but increasing your intake of leafy veggies, cauliflower/ parsnips potatoes etc will help greatly. Very well written article. Covers almost everything which I have once withdrawn or thinking to withdraw. Also, accurate information has been provided. When I went ahead with drastic caffeine withdrawal I had headache for 4 days. I am currently on rice withdrawal. I intend to withdraw salt and sugar from my diet (of course gradually :-D) Thank you very much for an informative article. Great article.. I have had or having almost all these systems. I suppose these symptoms are good to be experiencing. I know I’m getting rid of toxins… Excited to feel what’s it like when I’m clean!! Salt/sodium is not detrimental to your health, it is a very important mineral. Salt with added iodine prevents goiters from hypothyroidism, which is a huge problem in third world countries. You can obtain enough calcium from green leafy vegetables and quinoa. You do not have to consume dairy to obtain calcium.